iPhones are perhaps the most sold mobile phones in the world. No other cellular phone manufactured by one company, Apple in this case, has found so many avid users and happy customers. Nevertheless, most iPhone users are not happy with the simple “slide down to unlock” feature and would like to have a better protection for their beloved iPhone. It seems that a company, named Apocolipse, has finally delivered an application that replaces the lock screen and provides a facial recognition unlock system. The application is named RecognizeMe and it is currently available only per The Cydia Store. This application will never be allowed by the Apple Store and you will not be able to download it from iTunes, or from any other approved dealer. The reason is simple, it is supposed to work only on jailbroken iPhones. While the price tag is acceptable at $6.99, it is very questionable that it also really works. There is no simple facial recognition software available. There is serious development required to achieve the level of sophistication that the application is displaying in the YouTube advertisement video. The developer, Apocolipse, does not even have a web page. No reliable source has tested the program yet and has verified that it actually works or even recommended it, for instance, Engadget even discourages people to buy it. The video, labeled “official”, has serious spelling mistakes as well. There is really such an app? When checking The Cydia Store, there is really such an application on offer there. But to be on the safe side, do not only watch the YouTube video, simply go to the site and read the comments below. The “face recognition” is not really what it professes to be. The app requires you to do sets of your face photographies in different light conditions. 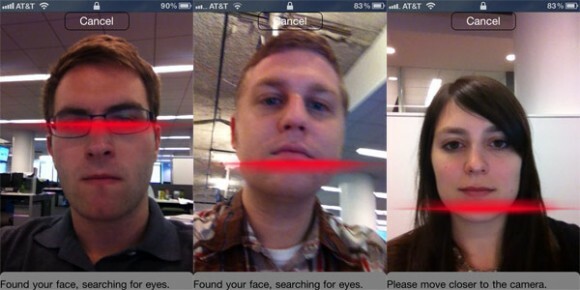 Then, when you try to unlock, it compares the face in front of the video conference camera with the ones on file. According to the settings, error toleration level can be varied in 1% increments. In reality it either recognizes you, or it recognizes anybody, there is no real variable threshold. Well, anybody with a picture of you can unlock it as well. The actual unlocking can take several minutes to happen, in some instances it took up to five minutes to adjust and unlock. To some extent it does work, although it is not the biometric facial recognition software that it professes to be, just a photo comparing gadget, which takes a photo of you and compares it with a stored one. You can use any of your pictures; it will not see a difference. In this respect, this is clearly false advertising and probably something that can be viewed as fraud. At a price tag that is clearly above the average price for a photo compare software, most of such applications on Android are free, this iPhone app is not recommended, better to keep your money and punch your password in. Guest Post written by Andy G. Drivers at bravofiles.